Attorneys for the passenger, Anila Daulatzai, say she was targeted "because she is a woman, a person of color, and a Muslim." 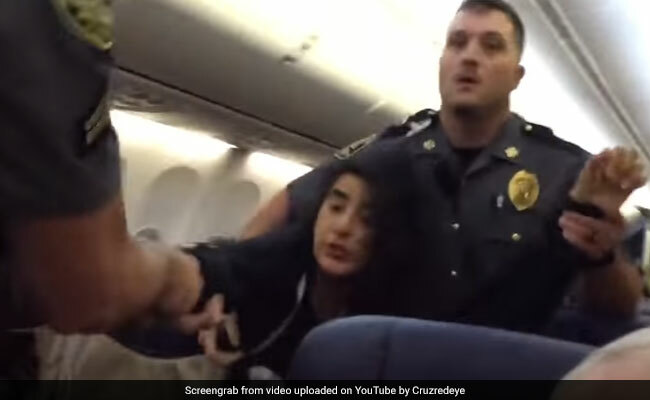 A viral video that ricocheted worldwide last month may not be what it seemed, according to the woman shown being dragged off a Southwest Airlines flight in Baltimore. The airline says that the woman had complained about two dogs aboard the Los Angeles-bound aircraft last Tuesday, stating that she had a life-threatening pet allergy. But the woman could not provide a medical certificate, without which the airline can deny a passenger boarding, Southwest said. What ensued was a scene that has become all too familiar in air travel. The passenger refused requests for her to deplane, and law enforcement was called in to remove her from the flight. This is where the video starts. The officers pull her out of seat. She screams at them, telling them, "Don't touch me." She is dragged down the aisle. She was later arrested and charged with disorderly conduct, failure to obey a reasonable and lawful order, disturbing the peace, obstructing and hindering a police officer, and resisting arrest. That is one version of the events aboard the Southwest flight. The woman, Anila Daulatzai, 46, has a very different account of how things unfolded. According to her lawyers, Daulatzai, a professor at the Maryland Institute College of Art, alleges that she never asked for the dogs to be removed from the plane, never claimed to have life-threatening allergies and was never asked for medical certification. She was forced off the plane, she alleges, because of who she is: a woman of color and of the Islamic faith. In a statement released Wednesday, Daulatzai's attorneys charged that she was "profiled, abused, interrogated, detained, and subjected to false reporting and the trauma of racist, vitriolic public shaming precisely because she is a woman, a person of color, and a Muslim." "She survived sexism, racial profiling, and police brutality that fateful day," reads the statement from Hall & Sethi, a law firm based in Reston, Virginia, that specializes in cases of personal injury. "Her mistreatment was particularly distressing because she is presently pregnant with her first child." Daulatzai had discussed her non-life-threatening dog allergies with Southwest crew members soon after boarding the aircraft, her attorneys say. But shortly after she had taken a seat at a safe distance from the dogs toward the back of the plane, a Southwest representative approached her, asking her to leave the plane. Despite assuring flight crew that she would be completely fine on the plane, her attorneys allege, Daulatzai was "pulled from her seat by her belt loop" and "dragged . . . through the aisle exposed with torn pants." Daulatzai's attorneys say that the charges filed against her "have no merit." Bill Dumas, the passenger who recorded the incident and uploaded it to YouTube, told NBC News that while the police were being "overly aggressive," Daulatzai was also combative and "wasn't giving [the officers] much of a choice." In a statement to The Washington Post, the Maryland Transportation Authority Police said that "[d]espite her clear attempt to resist a law enforcement officer, Ms. Daulatzai was professionally removed from the aircraft within the guidelines of the MDTA Police. This remains an open case that will be handled in the appropriate venue, not through various media channels." Since the incident, Daulatzai has received hate mail and violent threats, and has had to leave her home out of fear for her safety, her attorneys said. They did not respond to emailed questions about next steps in the proceedings. Reached for comment regarding the attorneys' statement, Southwest repeated its response last week that it is "disheartened by the way this situation unfolded and the customer's removal by local law enforcement officers." The airline noted that it has "publicly apologized to this customer for her experience and made several attempts to contact her directly to address her concerns." This latest episode is just another in the seemingly endless stream of airline-passenger meltdowns. Other nightmarish incidents in recent months include the man who was violently dragged off a United Airlines plane in April, leaving him battered and limp, and the infant-carrying easyJet passenger who was punched in the face by an airport employee in July.